Human Growth & Development — Michelle Kennedy - Mental & Sexual Health, Sexuality, HAES, and FOOD! Michelle Kennedy is a student counsellor, lover of the arts, cat mom and very opinionated woman. 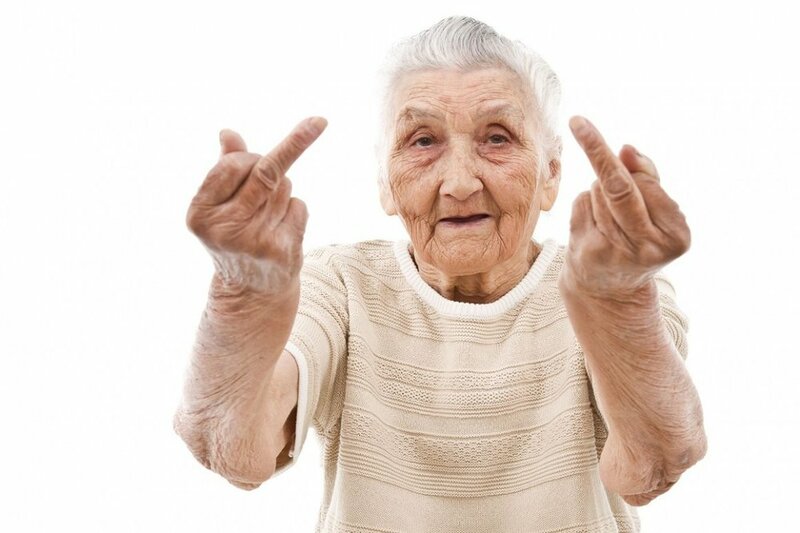 Image description: an elderly person giving the camera the middle finger with both fingers. Is this what you think of when you think of human development and growth? As a person with no interest in having children and who has struggled to reconcile her feelings about attachment theory, I spent the bulk of my education in developmental psychology reading about ageing, particularly old age. It’s a hot topic for me so feel free to read the paper here if you like. But old folks were particularly interesting to me over the course of developmental psychology and we do not often talk about how ageing is viewed from a counselling perspective or how the aged are ignored from mental health care in general. Community sites that foster intergenerational support and trust (Courtin & Knapp, 2017; While, 2017; Ellwardt, et al., 2015, McFadden & McFadden, 2011; Stirling, 2010). Each of these interventions should be undertaken in adherence with ethical standards, within a holistic care plan to ensure no harm is done, in a manner that is age/ability appropriate, and one that ensures cultural sensitivity. Full references and my discussion of nature/nuture around ageing can be read here.